Jenning Leung feels fortunate for the places he’s been. He was born in the US, but moved to the Philippines with his family when he was a baby. Leung grew up in Los Baños, Laguna, which is about two hours south of the capital Manila. Through playing in basketball tournaments as a kid, he’s traveled to neighbouring countries like Japan, South Korea, and China. Leung now resides in Montreal, where he’s been studying psychology at McGill University for the past four years. 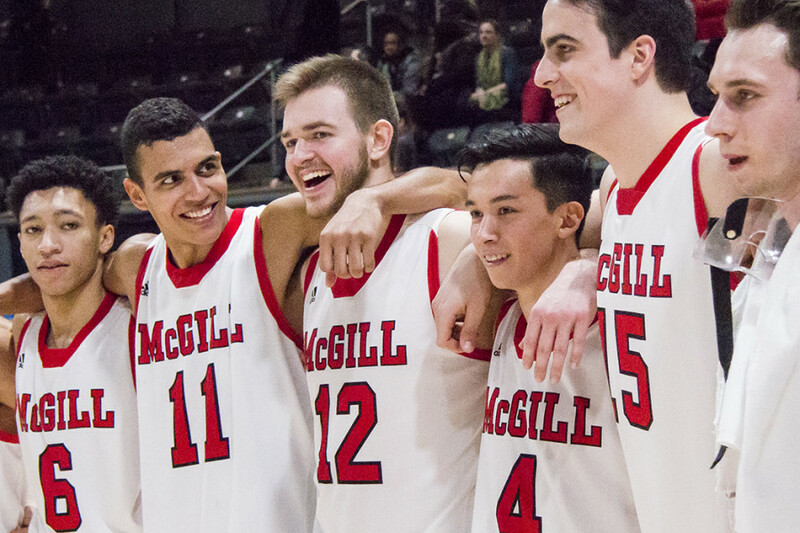 In this time, Leung has also been a star point guard for the McGill Redmen basketball team. The Redmen just tied their best-ever finish at nationals, as they narrowly lost 69-63 in a bronze medal game against the Dalhousie University Tigers, to finish fourth. Leung’s contributions didn’t go unnoticed to the U Sports league officials, as they named him to the Championship All-Star Team. For his play during the 2016-2017 regular season in the Réseau du Sport Étudiant du Québec, Leung was also named to the first team of all-stars. He’s heard all the praise, Leung says, about how impressive his journey from the Philippines to Montreal and university basketball stardom has been. But like many successful athletes, he stays humble. To an outsider, his journey to McGill doesn’t form the typical origin story like those of some of his teammates, who were recruited out of CEGEP or schools closer to Montreal. During his senior year of high school, Leung boarded the 18-hour flight to Canada to take part in training sessions with some university teams in hopes of earning a roster spot. Through connections of his youth coach, he had workouts scheduled with the University of Toronto, Queen’s University, and McGill, which was his last stop. His weeklong stint training with the Redmen was the most stressful time of his life, he says, recounting how jetlagged and exhausted he was during it. “I actually threw up after the workout,” he remembers, laughing. During the last day of the training camp, the team’s assistant coach, John Dangelas, or JD, was putting the hopeful recruits through two-on-two’s, one-on-one’s, and some ball-handling drills. At one point during the practice, Leung realized he had to go, told JD, and sprinted towards the bathroom. He couldn’t make it all the way to the restroom before puking, but the lapse in composure didn’t bother the coaching staff, as JD offered Leung a roster spot that day. Getting sick after an intense week of workouts probably wasn’t too surprising, jetlag considered. Leung says one of the biggest culture shocks he experienced in Canada was the difference in style of play. Adjusting to life outside of basketball was difficult in his first-year as well, Leung says. Here, the culture is more individualistic and outspoken compared to his home in the Philippines, a place he describes as tamer and more communal. 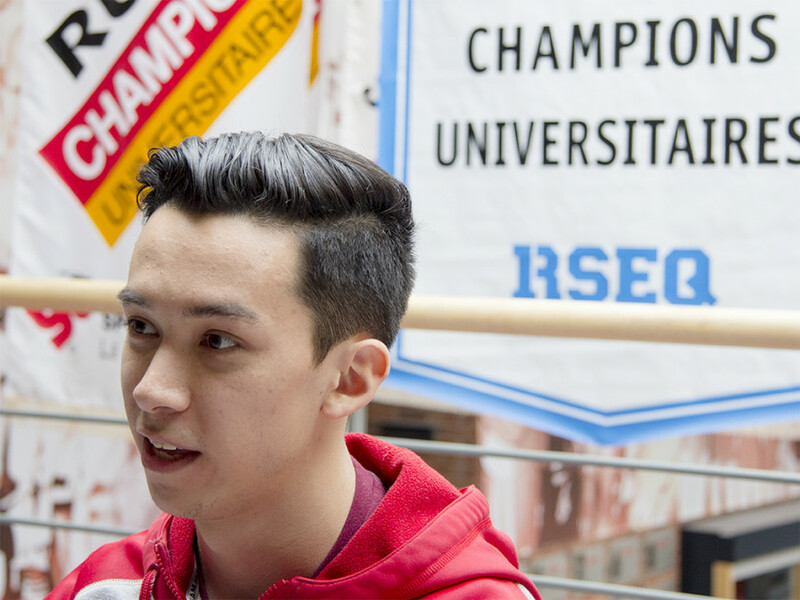 In his first year at McGill, he lived on campus in the “rowdy” residence halls. This is where he met his teammate and current roommate, Michael Peterkin, in August of 2013. “It was just so easy from the start to get to know him,” Peterkin says. The two were just about inseparable from the beginning, as they moved in a week earlier than everyone else for preseason training camp. Peterkin calls Leung one of the best players and leaders on the team, and saw his rise from not playing much in his first year to becoming an all-star in his last. “He just gets buckets basically,” Peterkin continues. It’s not just Peterkin who views Leung in such high regard. Earlier this month, after the final of the Réseau du Sport Étudiant du Québec, McGill guard Dele Ogundokun received the MVP award for his performance in his team’s win against the Université du Québec à Montréal Citadins. Immediately, he went over to Leung and gave him the award, a pair of headphones. “I felt like he deserved it, it’s not just a one-man sport,” said Ogundokun after the game. With their loss in the U Sport National Semi-Final, the whole team is in the offseason and catching up on schoolwork. Like his friend Peterkin, Leung is debating where and if he’ll use his fifth year of eligibility to play next season. It all depends on whether he gets into grad school, at a Toronto university or at McGill, Leung says. “I’d like to play,” he explains, calling the situation complicated. Continuing his education in grad school is his main priority. Despite majoring in psychology, Leung says he enjoyed studying his minor of international development most and would want to further his research in the field. He aspires to play professional ball, ideally in the Philippines Basketball Association, the main professional league there. But because he doesn’t have Filipino citizenship, Leung says he’s unsure if he could play there. His dad is Chinese and from Hong Kong, while his mom is Canadian. His parents are McGill alumni and met at the university. They moved to Los Baños, Laguna for his dad’s job at the International Rice Research Institute, which is a not-for-profit that works to improve the health of rice farmers and consumers. If he can’t play pro, finding a job that combines teaching basketball in underserved and impoverished areas of the Philippines or elsewhere in Southeast Asia is his ideal career scenario. Filipinos, at home or abroad, love basketball. Leung says his family and close friends back in Los Baños are proud of what he’s accomplished. While he’s well adjusted to life at McGill and has the accolades to show for his time here, he still misses home and its weather.